Hame Dual-Port Pocket-Size External Battery 10000mAh Just $12.49 Down From $60! You are here: Home / Great Deals / Amazon Deals / Hame Dual-Port Pocket-Size External Battery 10000mAh Just $12.49 Down From $60! Here’s a nice Amazon deal. Hame Dual-Port Pocket-Size External Battery 10000mAh is just $12.49 after you enter promotional code ZG3TVEOZ at checkout. This deal is usually $60, so get yours now while it lasts! 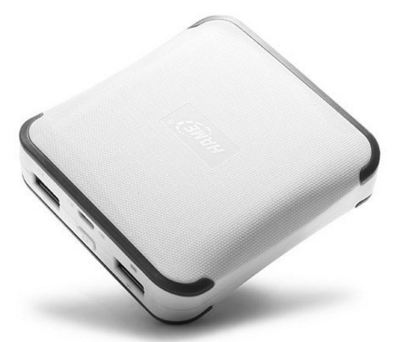 Mini Travel Charger:Compact Pocket-size External Battery Only 0.48 Pounds,Portable for Long Trip and Flight. Hame Advanced Technology£ºHigh-capacity Portable Phone Charger with 10000mAh Rechargeable Battery Power Capacity.Adds 1 Full Charge to iPhones,iPads and Android Devices. Hame Smart PMIC efficient charge:Portable Power bank Use top-level PMIC, Auto recognize iPhone 6 Plus 5S 5C 5 4S, iPad Air 2 Mini 3, Samsung Galaxy S6 S5 S4 Note Tab, Nexus, HTC, Motorola, Nokia, PS Vita, Gopro, more Phones and Tablets and control the electric current output accordingly.Perfectly protect your phone. Conversion rate is above 90%. Safe Strong Seven Protections: Battery Charger Has Protections to avoid over-charge, over-discharge, overvoltage, over-current,overpower,over-temperature and short-circuit .Perfectly protect power bank. Recharge Circle 500+ Times. What You Get: HAME? M1 Mini Power Bank, Micro USB cable, manual, our 12-month warranty and friendly customer service.